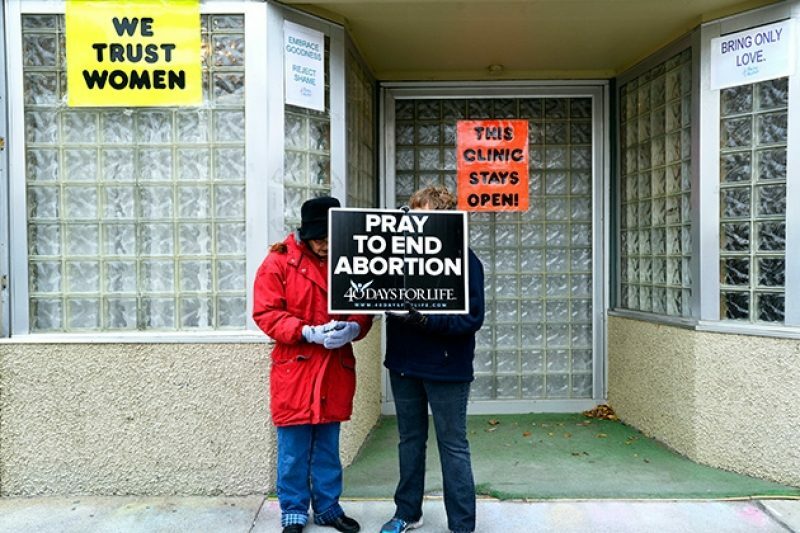 FARGO, N.D. — On Tuesday, voters here will decide the fate of a proposed amendment to the state constitution that has provoked excitement and fear among the combatants in the country's never-ending abortion wars. The ballot initiative known as Measure 1 — which would enshrine "the inalienable right to life of every human being at any stage of development" — has attracted millions of dollars in contributions, as well as the involvement of one of the nation's best-known conservative strategists. From the start, Measure 1 was aimed squarely at ending abortion. "I'm hoping it will be a direct challenge to Roe v. Wade," the amendment's chief sponsor in the North Dakota legislature declared last year. 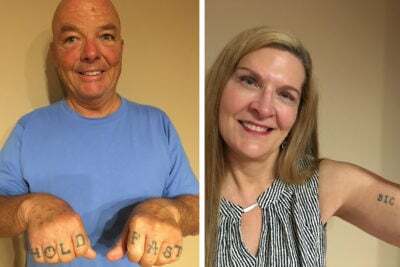 Leaders of the burgeoning personhood movement — who believe that establishing legal rights for the unborn is the key to overturning that 1973 decision — have made Measure 1's passage a national priority. Yet as the closely watched campaign over Measure 1 enters its final hours, what's most striking is that almost no one advocating for or against it is talking about ending abortion anymore. The measure's supporters, including the Republican state senator who introduced it, now claim that it is little more than an effort to shore up the state's existing restrictions on when and how women can end their pregnancies. On a recent Sunday afternoon at the Fargo Moorhead Lutherans for Life Dessert Banquet, Janne Myrdal, a major figure in the state's right-to-life efforts, sought to underscore the important, but more limited aims of the measure: preserving state requirements such as parental notification. "If Measure 1 fails, all our abortion laws will be wiped out and gone," she told supporters. The measure's opponents, aware that focusing on abortion rights is a losing game in this state, have sought to raise concerns about its implications for everything from contraception use to end-of-life care. In downtown Fargo, women's studies major Lexi Grabinger, who 19 years ago became the first surrogate baby born in North Dakota, was canvassing door to door. She fears that Measure 1 could force in-vitro fertilization doctors to close their doors. "My parents wouldn't have been able to have me," she said. At the offices of North Dakotans Against Measure 1 — located a block from the state's only remaining abortion clinic — campaign workers worked the phones, talking up an issue important to the state's many older voters: end-of-life care. A hand-lettered sign summed up the argument that opponents hope will carry the day next Tuesday: "Well intentioned doesn't mean well thought out." The battle over Measure 1 highlights the biggest trend in national abortion politics this November: wide-ranging pro-life ballot initiatives that would alter state constitutions in ways whose long-term repercussions are difficult to predict. In Colorado, voters will cast ballots on Amendment 67, another so-called personhood initiative that would include unborn human beings under the definition of "person" and "child" throughout the state's criminal code. In Tennessee, Amendment 1 would eliminate all constitutional language protecting the right to abortion, allowing lawmakers to start passing the kinds of regulations and restrictions that have become commonplace not only in North Dakota but Texas and other states as well. The stakes are potentially momentous yet hard to gauge, and that's why abortion rights advocates are deeply worried. Planned Parenthood groups from across the country have poured almost $1.4 million into the North Dakota campaign. The ND Choose Life campaign, meanwhile, is being run by Frank Schubert, the legendary Republican political consultant best known for his ballot campaigns to ban gay marriage, including California's Prop. 8 (now overturned). The North Dakota Catholic Conference has donated more than $500,000 to passing Measure 1, and the state's two conservative bishops have made campaign videos on YouTube and issued talking points to priests and parishes under their supervision. One of Schubert's encouragements to his troops is, "If you define the terms, odds are you'll win the debate." Since then, personhood advocates have often sought to minimize the wider implications of declaring that embryos and fetuses have the same rights as the born. (This year's personhood measure in Colorado, for example, paints itself as a narrow "fetal homicide" bill that would allow drunk drivers, domestic abusers and others who kill unborn children to be criminally prosecuted.) Reproductive rights advocates say that's what is happening in North Dakota as well. "Anybody can think what they want to think," Dodson said. The measure's more targeted ambitions, said Myrdal, the chairwoman of ND Choose Life, involve thwarting judges like the one in Fargo who in 2012 threw out a state law effectively banning medical abortions (those achieved through drugs and not surgery). The judge held that language in the North Dakota constitution protecting the right to liberty meant that abortion is a fundamental right under state, as well as federal, law. That ruling was overturned this week by the North Dakota Supreme Court, but the campaign has doubled down on its message, announcing the decision under the headline: " State Supreme Court Ruling Makes Need For Measure 1 Crystal Clear." Steven Morrison, a University of North Dakota law professor and Measure 1 opponent, said the broad, rather vague wording plainly contradicts that supposedly narrow aim. "The amendment [could have] said that the North Dakota constitution should not be read to [protect] a right to abortion," he pointed out. "I might have a problem with that on a policy level, but not on a constitutional level." Indeed, Lynn Paltrow, executive director of National Advocates for Pregnant Women, said she finds it hard to accept Measure 1 proponents' claims about the measure's more limited intent and potential impact. "The principles established by Measure 1 will have exactly the same effect as other proposed so-called personhood measures," Paltrow said. Her particular concern is that the amendment, if passed, could fuel another trend seen elsewhere across the country: the prosecution of women who might engage in behavior (drug use during pregnancy, for instance) viewed by police and prosecutors as endangering their unborn children. Opponents say the measure could also create new barriers to in-vitro fertilization, in which excess embryos are often destroyed; to some forms of birth control (those seen as preventing fertilized eggs from implanting in the womb); and even to emergency care for miscarriages. Echoing the arguments that helped defeat personhood in Mississippi, North Dakota's three IVF specialists have said that if the amendment passes, they will have to stop doing the procedure in the state. "This measure impacts our whole lives," said Amy Jacobson, campaign director for North Dakotans Against Measure 1. "We needed to bring people to that part of the conversation." According to Morrison, the phrase "any stage of development" includes the end of life. This, he said, could pose problems for the terminally ill and their relatives who may wish to take steps —such as aggressive pain management or removal of feeding tubes — that hasten death. If a patient's advance directives are seen as conflicting with Measure 1, doctors and health care facilities might feel obligated to override them, Morrison said. He called that "a reasonable possibility." Nonsense, said Dodson, the Catholic Conference leader who helped write North Dakota's advance directive laws. "You have a right under federal constitutional principles, state constitutional principles, and statutes to have your [end-of-life] choices respected. The notion that [Measure 1] could somehow repeal that doesn't fit in the notion of what a state constitutional amendment does." To make their point, Dodson and his allies even enlisted the head of the North Dakota AARP — a long-time geriatric care specialist named Rodger Wetzel — in newspaper and TV ads. The only problem: Back in March 2013, a different AARP official said in written testimony that the amendment "raises concerns about the impact on end-of-life decisions" and noted, "that's why we oppose [it]." When Wetzel went public with his pro­–Measure 1 views, he was forced to resign. Elder-law experts around the country said Measure 1's greatest impact might come in the future, by discouraging legislators from trying to clarify gray areas and gaps in existing laws. Of 20 hospitals and nursing homes that recently endorsed Measure 1 — and disputed any negative effects on end-of-life care — all are Catholic institutions that answer to North Dakota's two bishops. Those numbers would seem to support a point Morrison has been making for weeks. Being conservative doesn't just mean being anti-abortion, he said. "It also means that voters don't want to take what appears to be unpredictable steps into the future." Measure 1 is not "a conservative step," he said. "It takes us very far into the future in ways that are not predictable." 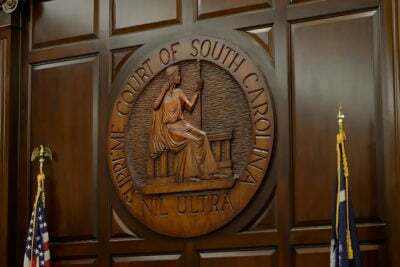 Related coverage: Read about the Alabama judge who’s become a pivotal figure in the so-called personhood movement.